Peeling lead paint on a house in West Philly, the kind that has been poisoning the city for decades. Every year, the full potential of almost 3,000 children in Philadelphia is robbed before they are 6 years old. Lead is one of the most pernicious culprits. The crime scene is their friends’ and family members’ homes or their schools. Lead poisoning impedes cognitive development of children. On Tuesday, City Council held a hearing on three lead-poisoning bills that were introduced by Councilwoman Blondell Reynolds Brown last fall. The bills would establish testing requirements for children, require certain renovations using city to make sure the building is lead-safe, and expand lead-safe certification requirements to all rental units. That last bill is likely to be the subject of the biggest battle. 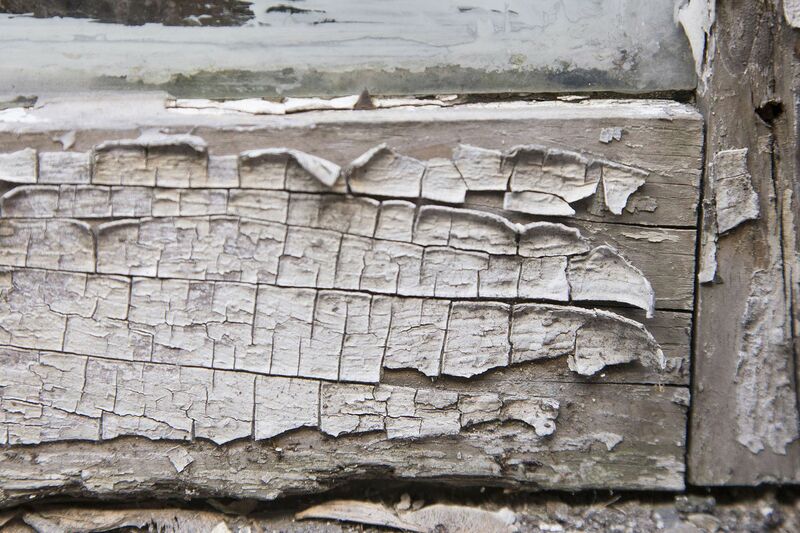 Since 2011, every rental property in which a child under 6 lives in has had to be certified to be free of lead hazards, such as large surfaces of chipping paint. The bill expands the requirement for all rental properties. By requiring all rental properties to be lead-safe, children will not be at risk when visiting families and friends who do not have children under 6 residing with them. Further, by making the certification a requirement for all rental properties, there is no longer an incentive for landlords to discriminate against families with children to avoid fixing lead hazards. The state also is moving on lead poisoning. On Thursday, Gov. Tom Wolf announced a plan to repair blighted schools all over the state, including $100 million to remove lead paint and other hazards from all Philadelphia district schools. According to Wolf, the plan was inspired by The Inquirer’s investigation Toxic City, which exposed Philadelphia schools as full of environmental hazards. City Council’s and Gov. Wolf’s plans complement each other. Children shouldn’t be exposed to lead anywhere -- their home, other people’s homes, or school. But enacting these bills aren’t going to be a slam-dunk. In her opening statement in the hearing, Brown said that she already has heard about a study circulating that suggests that the certification will cost landlords $3,000 in repairs. She argues that the information is incorrect and all the bill requires is to paint a new coat over areas of unstable paint. This argument came up in other cities that proposed more robust housing code enforcement -- landlords argue that keeping up to code will drive rents up and will hurt poor tenants. If City Council won’t buy that argument, Harrisburg might. In 2003, Greensboro, N.C., required that every property be certified to meet minimum living standards. The effort was preempted by the state legislature soon after. In 2017, Toledo, Ohio enacted a lead ordinance that required inspections and repairs, which was threatened by a preemption clause in the following year’s budget. Republicans in Harrisburg seem to take pleasure in preempting Philadelphia from enacting policy -- from regulating tobacco sales to minimum wage to which dogs are considered dangerous. If the bill passes Council, it would come as no surprise if Harrisburg were to try to preempt it. This is a battle for the health of our children. If the state insists on undermining that, the city should be prepared to fight.